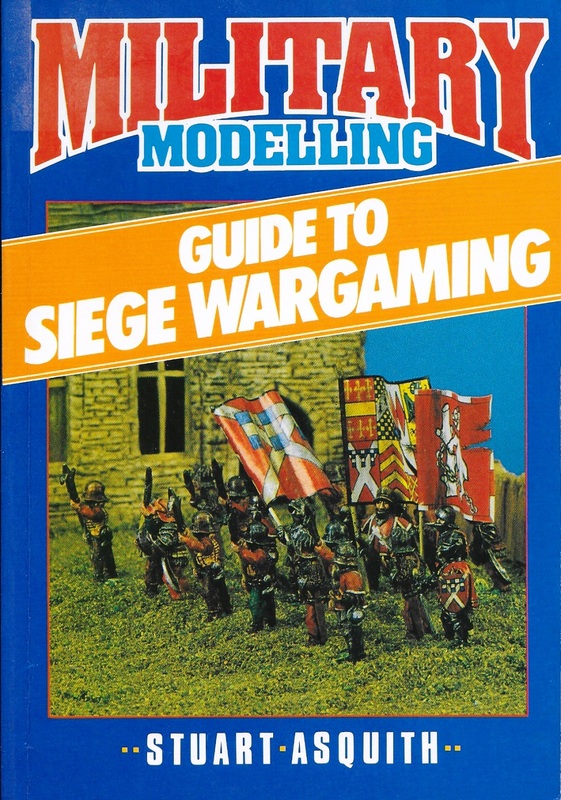 ... and a book entitled GUIDE TO SIEGE WARGAMING by Stuart Asquith. 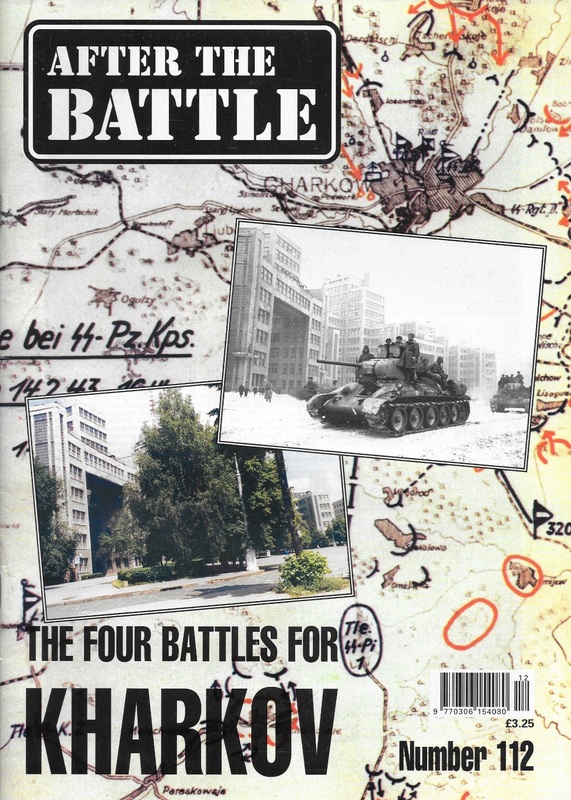 The former covers the four Battles of Kharkov as well as containing articles about Battery Maxim Gorkii I and re-enacting Operation Anglo. 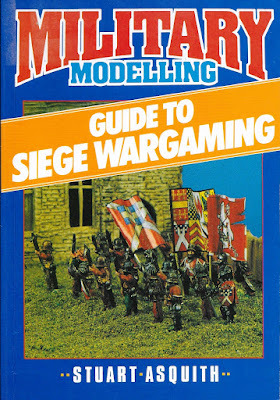 Stuart Asquith's book was one of a series published under the aegis of MILITARY MODELLING magazine by Argus Books (ISBN 1 85486 009 7) in 1990. Although I have owned the others in this series, this was one I had never bough before, and it was on sale at what I thought was a bargain price ... so I bought it! I thoroughly recommend that anyone visiting this part of south east London should pay a visit to Falconwood Transport & Military Bookshop. 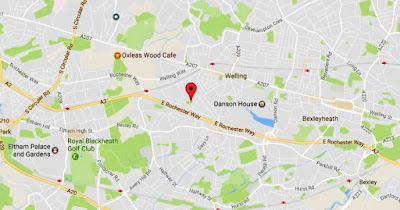 It is usually open on Thursday, Friday, and Saturday, and can be found at 5 Falconwood Parade, Welling, Kent, DA16 2PL. Good to see you obtaining useful books at bargain prices. This morning I visited our local QBD Bookshop and viewed a copy of a Doctor WHO Characters Encyclopedia - the book was originally $28 and had been marked down to $10...though when I presented the book at the cash register - the Sales Assistant scanned the bar code and said - "That will be seven dollars"...Unreal $7? - it is a superb fully illustrated and in color book of all the various incarnations of the Doctor, his Companions and all the Aliens/ Creatures...right up to the 12th Doctor. What a bargain! Couldn't believe my luck. Cheers. KEV. There is nothing like a bargain to make one's day ... and your purchase sounds like it was good enough to make one's week! I've been watching Doctor Who since the very first episode, and I've always enjoyed them. It was a great day indeed when the series was resurrected. Yes Doctor WHO is fascinating- thinking of obtaining a Collection of figures in 25/28mm...though I must be sure that the UK supplier via the Internet is safe and reliable. Trying to decide on a favorite Doctor and Companion...decisions- decisions! Cheers. KEV. I suppose that of the earlier Doctors I enjoyed Jon Pertwee (and all the UNIT stories) and Tom Baker better than the rest ... but each of the later ones has had elements about them that I have also liked. Good luck trying to decide. Yes- Jon Pertwee (3rd Doctor) and Tom Baker (4th Doctor) are favorites from the earlier years...I do however have a fondness for Sylvester McCoy the 7th Doctor. All three doctors had appeared with UNIT out-foxing their foes. It is all good entertainment. Cheers. KEV. I'd forgotten Sylvester McCoy! There were some interesting storylines during his tenure. Aaaaah, that's better. The tales of sofa buying were a bit stress-inducing. I like the look of the Siege Wargaming one - it's Vauban time! To misquote George Orwell, 'shopping for books is good; shopping for sofas is bad'. Thank God it's over! The book is excellent, and has already given me a few ideas I want to develop. I've no idea what you paid for the Asquith but I suspect you got a bargain. I missed this when it came out but my occasional checks with on-line sellers showed prices much higher than I'm prepared to pay (and still do!). The total cost of the book and magazine was £4.00 ... so they were both bargains. Some online retailers do charge ridiculously large prices for books. I recently discovered that a book that I wrote a couple of years ago - and which is still in print - was on sale with one bookseller for over ten times (1,000%!) its original cover price. I don't know how they can justify that sort of mark-up. I must say an excellent choice of books Bob! I don't know why I didn't buy it when it was originally published! From what I have read so far, it is full of great ideas and suggestions ... and was well worth what I paid for it. I know that shop very well, although not been there for probably fifteen years at least, I built up the bulk of my ACW book collection there over 20 years ago! My wife was then the Manager of Falconwood Children's Respite Centre right opposite the shop and I used to take the kids to the swing park on the green between them while waiting for her. It was a regular place to visit when dropping my wife off for work :) Brings back some great memories. The Respite Centre is still there ... and the book shop is probably even more crowded and apparently disorganised than it was fifteen years ago. It is a rare day when I pay it a visit and come away empty handed. 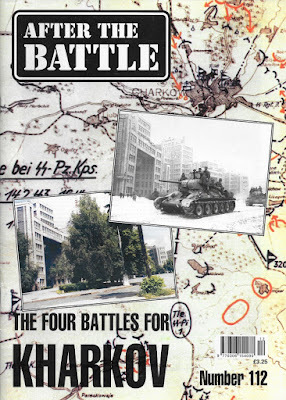 Developing The Portable Wargame: Almost there! Here's hoping for a restful few days! It happened yesterday ... in 1940!